As a part of a major initiative to usher in certainty in taxation, the Central Board of Direct Taxes (CBDT) entered into two unilateral Advance Pricing Agreements (APAs) on 3 August, 2015 with two Multi-National Companies (MNCs) which includes the first APA with a “Rollback” provision. With this, the CBDT has so far signed 14 APAs of which 13 are unilateral APAs and one is a bilateral APA. The 14 APAs signed relate to various sectors like telecommunication, oil exploration, pharmaceuticals, finance/banking, software development services and ITeS (BPOs). Unilateral APAs are agreed between Indian taxpayers and the CBDT, without involvement of the tax authorities of the country where the associated enterprise is based. Bilateral APAs include agreements between the tax authorities of the two countries. An APA with the “Rollback” provision extends tax certainty for nine financial years as against five years in APAs without “Rollback”. 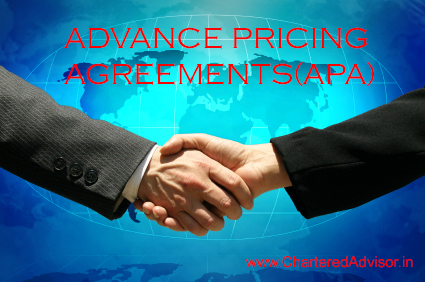 APAs settle transfer prices and the methods of setting prices of international transactions in advance. The Government is committed to conclude a large number of APAs to foster an environment of tax cooperation and certainty. Currently a number of unilateral as well as bilateral APAs with Competent Authorities of UK, Japan etc are at advanced stage of negotiations. A Framework Agreement was recently signed with United States under the Mutual Agreement Procedure (MAP) provision of the India-US Double Taxation Avoidance Convention (DTAC). This is a major positive development. About 200 past transfer pricing disputes between the two countries in Information Technology (Software Development) Services [ITS] and Information Technology enabled Services [ITeS] segments are expected to be resolved under this Agreement during the current year. So far, 35 disputes have been resolved and another 100 are likely to be resolved in the next three months. The Framework Agreement with the US opens the door for signing of bilateral APA with the US. The MAP programs with other countries like Japan and UK are also progressing very well with regular meetings and resolution of past disputes. These initiatives will go a long way in providing stable tax environment to foreign investors doing business in India.